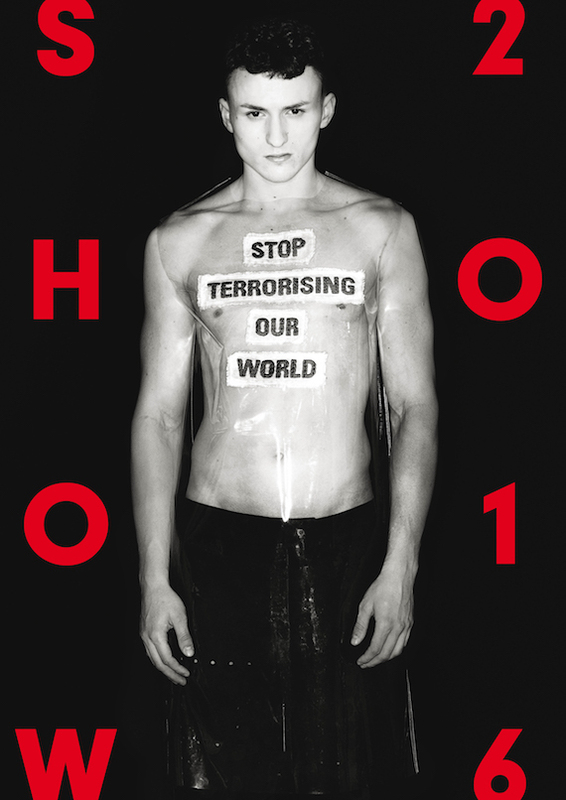 Hallowed KNOTORYUS tradition has it that we don't miss the year's most pivotal moment: the Fashion Department of the Royal Academy of Fine Arts Antwerp’s end-of-year show. This year's edition will be on June 10th and 11th and we're there, come hell or a waiter spilling drinks on your Dries prompting a last-minute outfit change. We still have barely recovered from last year’s fare, sitting across from not just Walter and Dirk Van Saene but also Dries, combined with the work poured from every student’s soul. 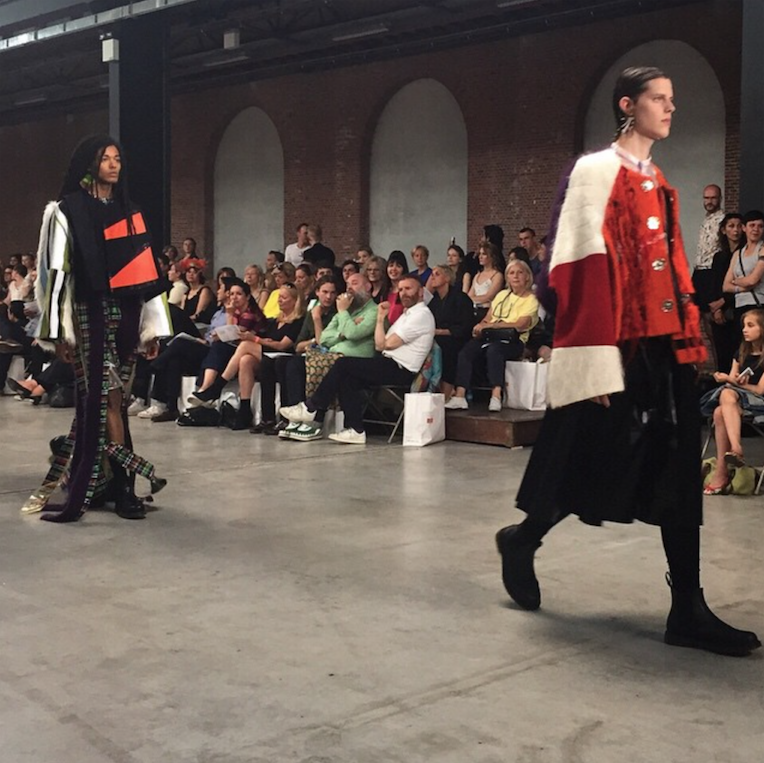 What already makes this year’s show a stand-out occasion is the announcement of the first ever collaboration between both Antwerp’s fashion department and their Brussels counterparts over at La Cambre. Shortly after the Brussels attacks in March, peerless Belgian photographer Pierre Debusschere and art director/La Cambre teacher Pierre Daras contacted Walter asking permission to shoot one of his designs for the La Cambre poster. Being the head of Antwerp's fashion department, this request struck him as a bit strange at first but the significance of such a message was quickly apparent. There was absolutely no ill will between the two academies, despite them being pitted against each other from the get-go, but there had never been collab either. Time to fix that. 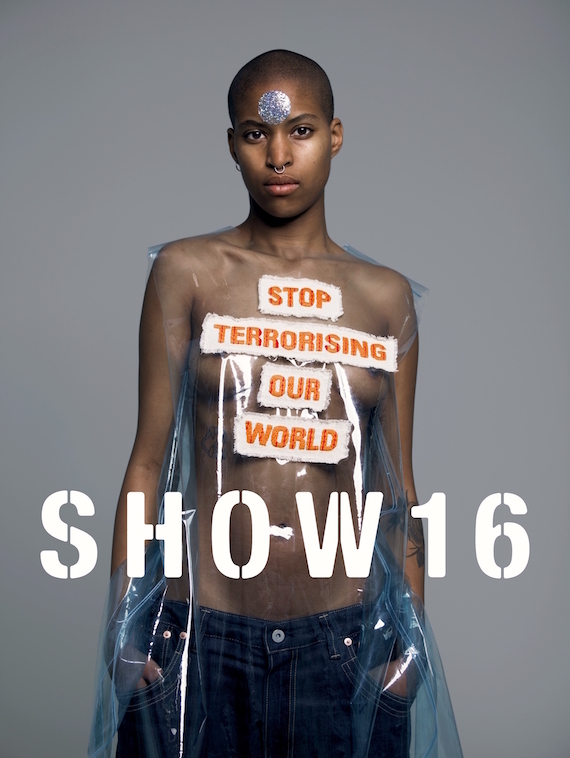 As a result, the now-legendary Walter Van Beirendonck AW15 ’Stop Terrorising Our World’ plastic tunic shines on both shows’ posters as the symbol for the unity and shared resolve between the two schools to choose beauty over fear or terrorism. As heads of their respective fashion departments, Walter and Tony Delcampe politely ask you: don’t play yourself with that Brussels versus Antwerp fashion talk. The potent political statement on (the) top does not go unnoticed either, of course. All through Antwerp you’ll also be able to follow a special 'parcours' to catch the masters' collection details and subtexts you may not have gleaned from the runway. Get your tickets now because they will be gone in the blink of a Mykita + Maison Margiela bespectacled eye.